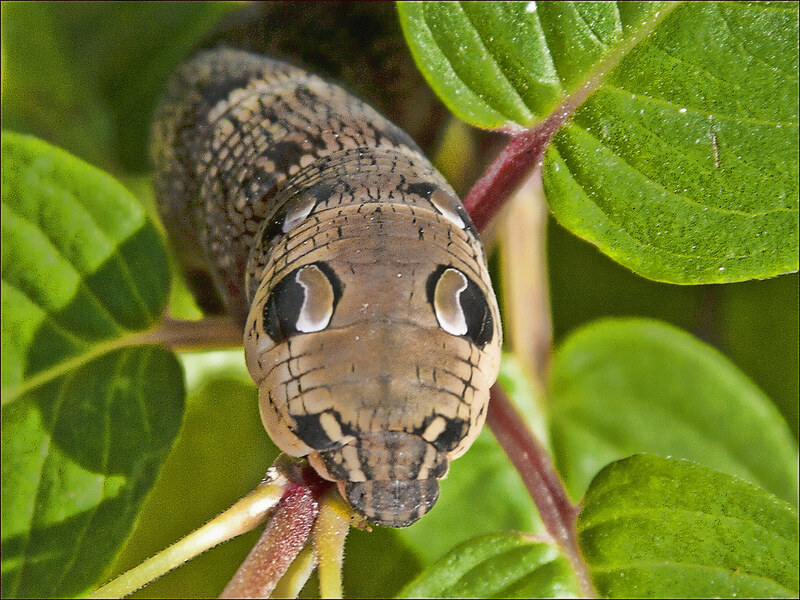 The crafty little caterpillar above is known as a wavy-lined emerald moth or camouflaged looper (Synchlora aerata). 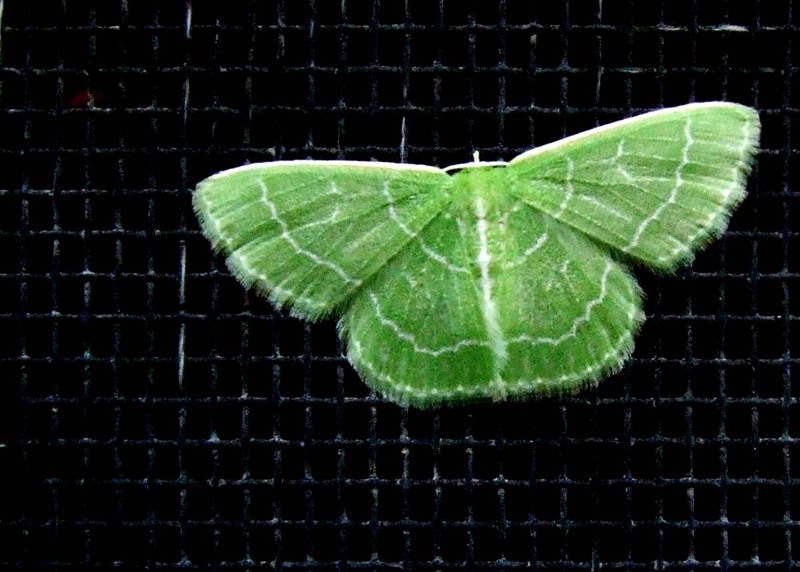 It is a species of moth of the Geometridae family and can be found in most of North America. 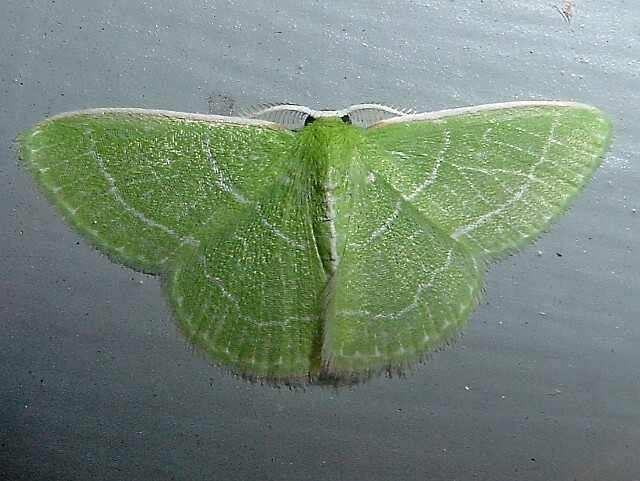 The wingspan is about 17 mm and adults are green with scalloped or wavy white transverse lines. 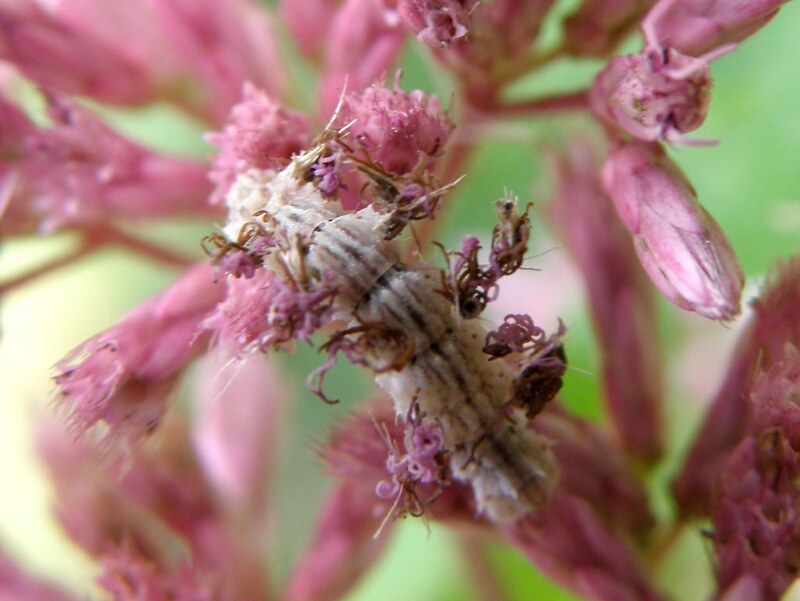 The larvae feed on a wide variety of plants, including the flower heads of composite flowers and other flowering plants, as well as shrubs and trees. Recorded food plants include: Aster, Rudbeckia, Liatris, Solidago, Artemisia, Achillea and Rubus species.